What a delight to return to the Oshkosh Y after some time away for travel and some health challenges! That delight was enhanced by signing up to personal train with Lindsey McMullin. I am recovering from knee surgery, a back issue and newly diagnosed essential tremor. My husband Ralph is recovering from a heart procedure. We are both getting stronger and have more endurance since working with Lindsey’s guidance and having great facilities at the Y! Lindsey is able to strike that powerful balance between encouragements for accomplishments and challenge to be and do more. We are learning to use the exercise equipment in ways that particularly benefit each of our individual situations. 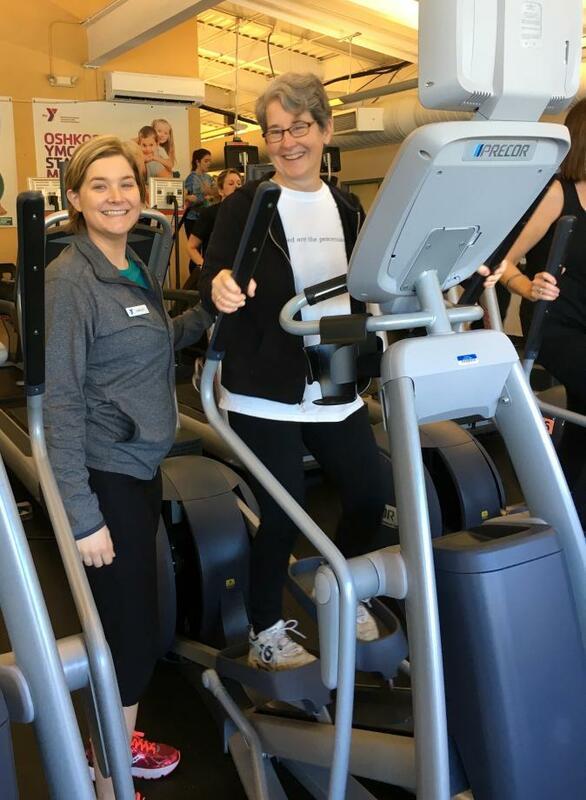 We also love the community aspect of the Y as we see friends from around town, and we all encourage each other to work on being healthy and strong. We love the Y personal training and recommend all its services to everyone in the community. No matter who you are, how old you are, what kind of shape you are in, how much money you have or how timid you might be, the Oshkosh YMCA has something for you! And now we also look to the future with great excitement as the renovations at the Downtown location progress! Thank you, Lindsey and thank you to all the wonderful YMCA staff!